Your home doesn’t look like your neighbor’s. Your windows should reflect your preferences and enhance the look of your unique façade. This is why at A&A Services, we provide a variety of window styles. We understand that your windows play an important role in the overall appearance of your home, and we are dedicated to installing only the best windows so that you can be completely satisfied with the end result. You can always count on the professionalism of A&A Services. Built to withstand harsh weather and keep out cold air, our replacement double hung windows are of the highest quality. Being BPI Certified, we understand energy savings and are committed to providing you with the best. At A&A Services, we feel that our sliding windows are one of the most beautiful operable designs we have. When we install your picture and sliding windows, we ensure that each receives a seal underneath so that you can experience the best in energy efficiency. Our casement windows are a rugged design and come straight from the manufacturer. Casement windows are made for energy efficiency, and with our professional installers, that is exactly what you will get. A beautiful addition to any home, our bow and bay windows have frames reinforced with fiberglass and are installed in the most energy-efficient way. 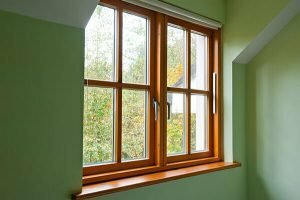 Basement windows must be installed properly in order to provide the most security for the home. Our installers make sure that each basement window is the perfect size and that they are all correctly installed. Learn More About Your Window Replacement Options Today! At A&A Services, we understand that you may have many needs when it comes to window. Our window installers have got what it takes to get the job done right the first time – every time. Contact us today at (978) 741-0424, or you can fill out our online form.